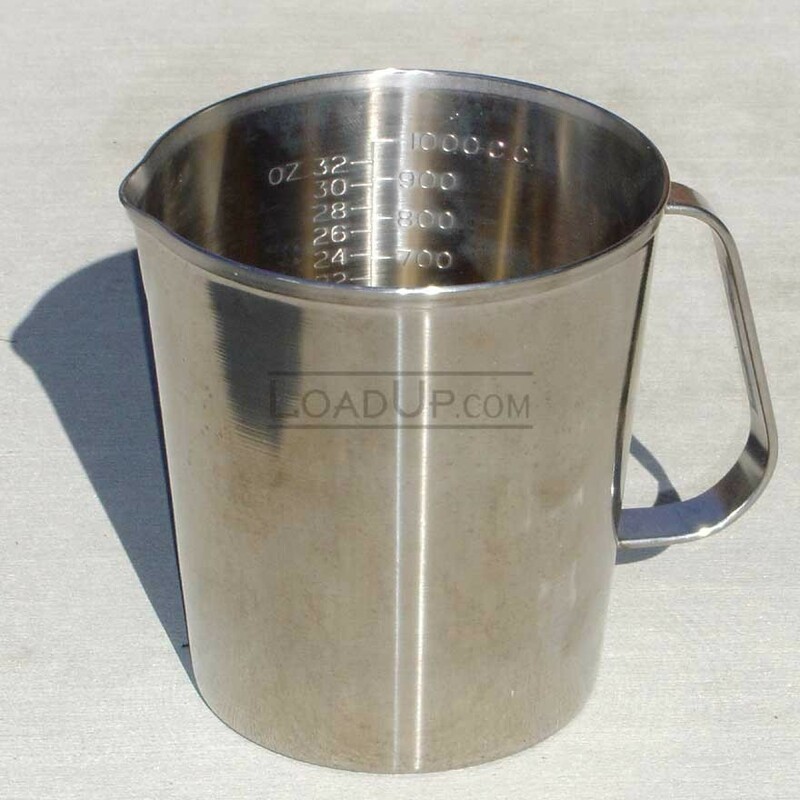 Graduated Measure, 32 oz., stainless steel with handle. Measuring Cup. Vollrath measures are made of durable stainless steel for years of food preparation. The easy-to-read graduation marks inside are calibrated in both ounces and cc's for easy conversion of any recipe. Pouring spout and comfortable handle for ease of use. Material: 18 gauge medical stainless steel.